In Sonoma County, year-to-date sales are down by 3 percent, one of the smallest margins in the Bay Area. The drop in sales is most notable for luxury homes — consistent with trends seen across the Bay Area. Home prices increased by 10 percent in August, which is the strongest rate of annual appreciation in the region. A lack of inventory continues to depress home sales. Buyer frenzy has also diminished from last summer, with fewer properties selling over asking price. However, absorption rates of existing inventory inched up, unlike elsewhere in the region, where absorption rates generally decreased. Relative affordability will keep spurring demand, but more inventory is critically needed. Sales of single-family homes and condominiums in Sonoma County have fared relatively well in 2016 — 3 percent lower year to date than last year, which was the second smallest decrease in the Bay Area, behind Napa County. Encouragingly though, August sales were on par with last year and suggest that the Sonoma County market may end 2016 strong. Despite the slowdown over the last few years, sales remain in line with their historical average of about 400 per month. As we discussed in a previous analysis, changes in sales activity varied greatly by price range. Overall this year, sales of homes priced between $2 million and $3 million were adversely impacted by instability in financial markets and global uncertainty. Sonoma County saw the same trend, with sales in that price range falling by 17 percent for the year through August. Next to San Francisco, Sonoma’s drop in sales in this price range was the largest in the region. Figure 1 compares changes year to date by price range and by county. 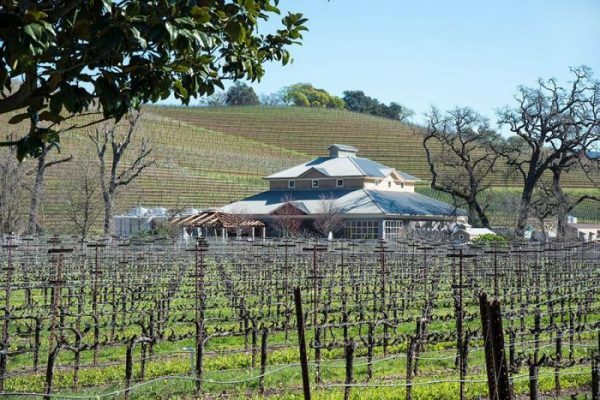 Napa County, however, saw a notable pickup in sales of homes priced between $2 million and $3 million. Altogether, sales of homes priced up to $1 million were 10 percent lower, those priced between $1 million and $2 million were 7 percent higher, and those priced between $2 million and $3 million were 5 percent lower. Sonoma County also benefited from continued strong price appreciation throughout this year, hovering around 10 percent. In August, Sonoma County saw the largest annual appreciation in the Bay Area, also at 10 percent. Alameda and Napa Counties followed, with 8.5 percent and 6.4 percent appreciation, respectively. Other counties in the region saw annual appreciation of 5 percent or less. San Francisco saw no appreciation in prices from last August. The advantage Sonoma County holds is that it remains one of the most affordable areas of the region, with the median sales price at about $585,000 as of July. 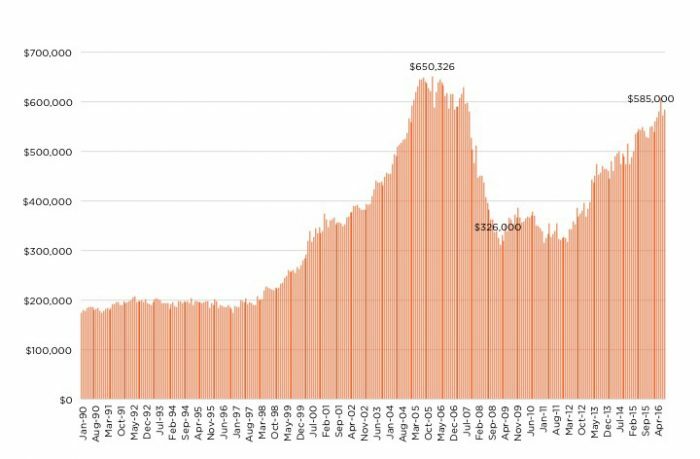 Even with strong continued appreciation, the current median price is still 10 percent below its 2005 peak, when it reached $650,000 (Figure 2). Nevertheless, the lack of inventory remains an issue in Sonoma County, as it does throughout the rest of the Bay Area. 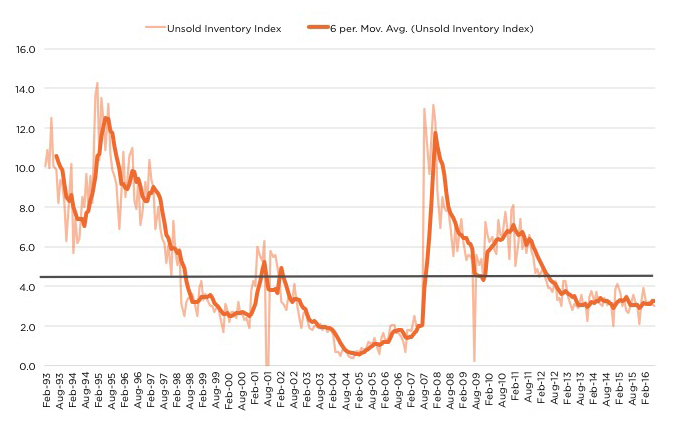 Figure 3 illustrates the Unsold Inventory Index and shows that despite some oscillation over the last few years, inventory is stubbornly low at about three months and hasn’t moved much after dropping in 2012. At three months of supply, inventory is below the historical average of four months and certainly below the five-to-six months of supply that is considered a balanced market between buyers and sellers. Sonoma County buyers have, however, taken a breather, as noted in other recent analyses for the entire Bay Area. Buyer frenzy has also slowed, with the share of properties selling above list price declining for properties priced below $3 million. Keep in mind that only 1 percent of sales (or 28 sales in August 2016) were priced above $3 million. For the most affordable inventory, priced below $1 million, three in 10 homes sold above list price. Last year, half of the sales in the same group sold for more than list price. Figure 4 summarizes changes in sales over list price by price range and the average premium paid. The average premium remained at around 5 percent, although it dropped notably for more expensive homes. Lastly, it is encouraging that Sonoma’s absorption rates increased from last August, despite the general trend of falling absorption rates in other parts of the region. For example, for homes priced below $1 million, absorption rates increased from 37 percent to 41 percent in Sonoma County, while for the Bay Area, absorption rates in the same price range decreased from 38 percent to 37 percent. So what does that all mean for Sonoma County’s real estate market in the months ahead? Sonoma’s relatively affordability will continue to drive demand, but stubbornly low inventory will prevent any notable increase in sales. By the same token, home prices will continue to rise and may reach the last cyclical median of $650,000. 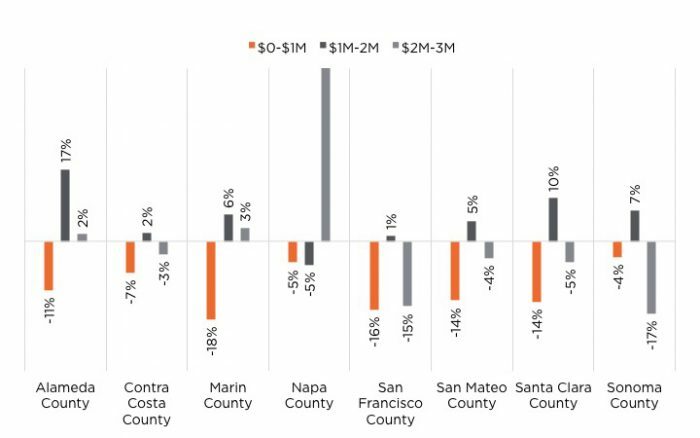 In addition, similar to the rest of the Bay Area, Sonoma County seriously lacks new construction. Based on an analysis by John Burns Real Estate Consulting, the ratio of demand to supply is at 9.49, which suggests that roughly for each 10 jobs added in the county, only one new housing unit is built. Unless more new units are added in Sonoma County, demand will lead to falling affordability.